After an extended trip through India, Mata Traders founder Maureen Dunn decided create a deeper connection with the land she loved so much. 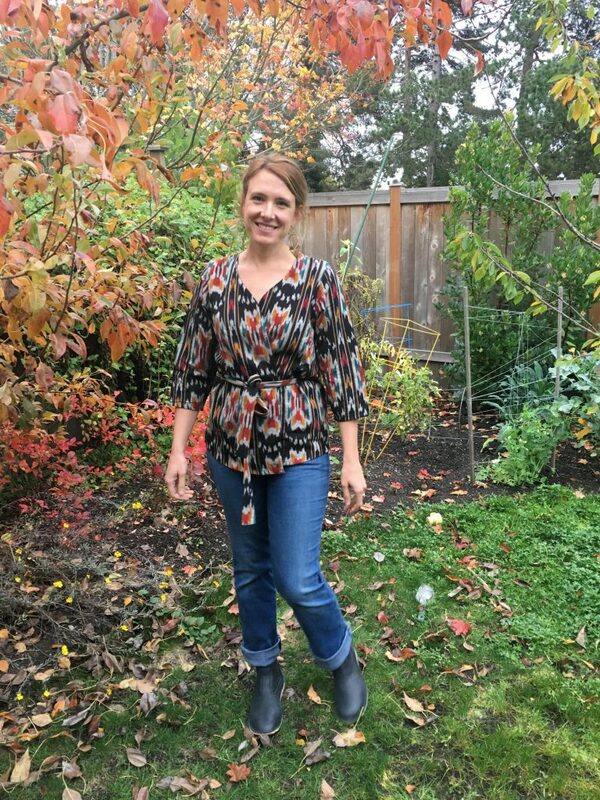 We caught up with her to learn more about her business, and what it takes to build a Fair Trade clothing brand. Tell us the story behind Mata Traders. What inspired its creation? Mata Traders was born from a round-the-world trip I took when I was 27 with my two best friends (now my business partners). We spent three months in India, and I fell in love with the country and its vibrant culture. I am a textile-phile at heart, and India is a textile lovers paradise. I wanted to figure out a way to bring beautiful, handcrafted fabrics from that part of the world to the market here. And I wanted a reason to keep going back! That was the original impetus. I saw an unfilled niche for fashionable fair trade clothing that combined colorful prints with more western, wearable cuts. Once I started the business, I realized how important it is to know who is making the products and how much they were getting paid. So I sought out fair trade producer partners that practiced transparency, fair wages and community-building. What were some of the initial challenges you faced when setting up operations? Mata Traders has grown organically – one slow, steady step at a time. Fortunately, I had very low overhead when I started the business, which I ran out of a studio apartment. I could make mistakes in the beginning and learn from them. I could test the market on price sensitivity and product mix without much risk. My first major challenge was realizing that I needed help to grow. That’s where Michelle and Jonit came in. My best friends from college and travel partners in crime helped me build Mata from the ground up. They allowed me to focus on design and sales, the parts of Mata that were most natural for me. Also, since I don’t have a technical design background, bringing in talented designers at the right time to collaborate with our producer groups was key to consistently improving the fit of the line. This continues to be one hallmark of our success. Dealing in artisan handmade goods poses unique quality challenges of a whole different kind. One year we had so many dye issues on certain garments (turning our skin blue – yikes! ), we realized we needed more rigorous quality control procedures and fabric testing in India. I’m so glad that happened early on! 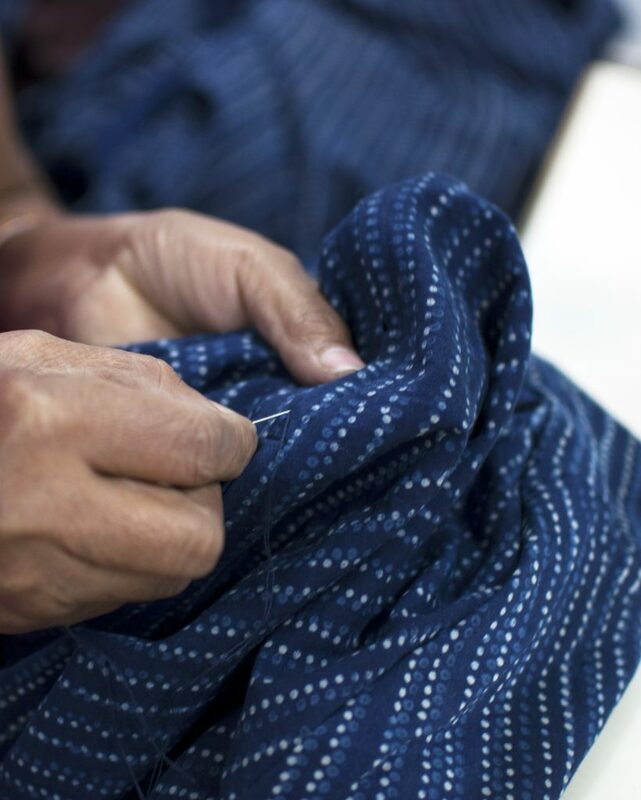 How have you seen fair trade and ethical fashion initiatives evolve since starting Mata Traders? The fair trade movement has really picked up momentum in the past five years. Consumers are questioning the fast fashion phenomenon and demanding greater transparency in the fashion supply chain, in part because of tragedies like the 2013 Rana Plaza factory collapse where 1,138 people were killed and many more injured. It’s so exciting to see larger companies like Patagonia, Prana and Athleta joining long-time supporters like Eileen Fisher in incorporating fair trade methods into their supply chains. What we do at Mata is a little different than more mainstream ethical fashion initiatives. Our primary focus is on smaller, cooperative models that provide fair wages and offer additional resources to marginalized communities to tackle poverty at its roots. Mata is part of the Fair Trade Federation, a community of businesses dedicated to 360° fair trade – this means we work with artisans in partnerships built on trust. It means good wages, safe working conditions, environmental responsibility and more. It means our partners are empowered to build strong businesses for their families today – and for generations to come. Is there any advice you would give yourself when you were starting out? Growing a small business from the ground up is like getting a practical, real-world MBA. If I’d had the insight I have now when I started the business, I would have made an actual business plan in those first couple of years. I would have branded earlier, and maybe even tried to raise some capital. We did a lot of things right though, and it’s important to acknowledge what can be achieved with good instincts, a strong network and really hard work. Mata is thriving today because we built a solid infrastructure around organic, slow growth, a lean business model, and a focus on sustainable profitability. Today, we are both driving and leveraging growth in the fair trade fashion market that Mata pioneered 10 years ago. Our designs still honor traditional south asian textile techniques while also appealing to the diverse, global marketplace of Mata women. We hold fast to the wholesale customer relationships that put Mata on the map back in 2007 and every day add new fair trade stores and fashion boutiques to our customer roster. We are still a relationship-based business, but also investing in technology to help us deliver outstanding service and build connections with consumers who shop online. Empowering women is a very effective method for alleviating poverty within their communities. How have you seen this play out with your employees? We like to say that women who wear Mata empower women who make Mata to create a better life. Every dress, skirt, top and piece of jewelry bought from Mata creates more opportunity for more women and their families. Closely connected with these consumers and producers in an interdependent web are the Mata women responsible for design, marketing, sales and service at Mata headquarters in Chicago. It’s a diverse group, in terms of their expertise, age and interests. But they all have one thing in common – a devotion to Mata’s mission and the joys of being involved in the creation of beautiful apparel and jewelry. We know that women wear Mata because, they tell us, Mata makes them feel adventurous, compassionate, beautiful and (we love this one) powerful. Coincidentally, that’s how we describe ourselves and the women who make Mata! All of these qualities are manifested in the unique prints, modern silhouettes and traditional printing techniques for which Mata is known for. And all of these are inextricably linked with the social impact of our fair trade business model. You’ve expanded so much since your creation. What’s on the horizon for Mata Traders now? Not much has changed in that regard since 2007. 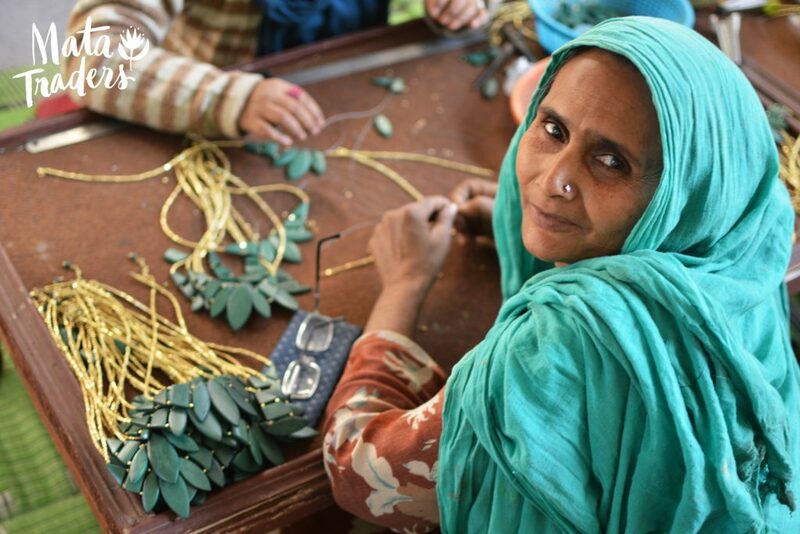 Our goal was and continues to be connecting more customers to Mata artisans so we can positively influence more lives and communities – by empowering women, fighting gender inequality, combating child labor and preserving an art form.